Brand Identity provides formal suiting applicable for formal work environments. Formal wear in the Brand Identity store includes suit jackets, suit trousers, ties & scarves and waist coats. Workplaces including hotels, restaurants and bars amongst others can benefit from wearing smart clothes to gain a formal reputation. 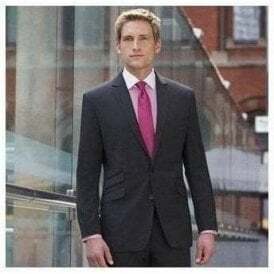 Suits and Waistcoats can feature your logos and designs via print and embroidery, available at only £1.95 per design + a 1 time setup fee for new designs. 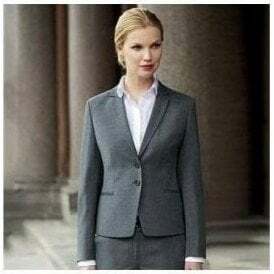 This formal clothing range includes Men's and Women's items coming in a variety of sizes, colours, materials and styles allowing for you to easily match your company branding and produce the exact uniform you require. 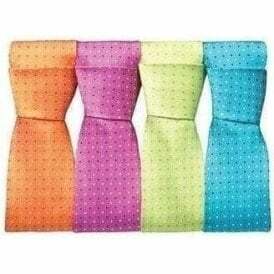 Don't leave out ties from your uniform as they are the key accessory to creating a great fromal uniform. To ensure you that your order will be satisfying we only stock the best and most reliable brands, these include Alexandra, B&C Collection, Brook Taverner, Henbury, Premier and Yoko. If your establishment is in need of new formal branded uniforms look no further than Brand Identity.